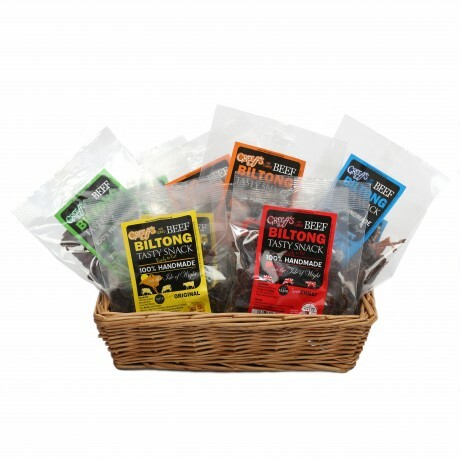 British beef biltong selection, handmade, air cured, natural, British beef biltong. No MSG. No artificial additives. You can swap any flavour for any of our other flavours for your selection should you wish to. Ambient with a 6 month shelf life. British Beef, Malt vinegar, Sea salt in all flavours. Variation of spices as the names suggest in each flavour. Oupa's Original and Oak Smoked both have Worcestershire Sauce in them. Excellent. Bought a variety pack and love everyone of them. Thanks! 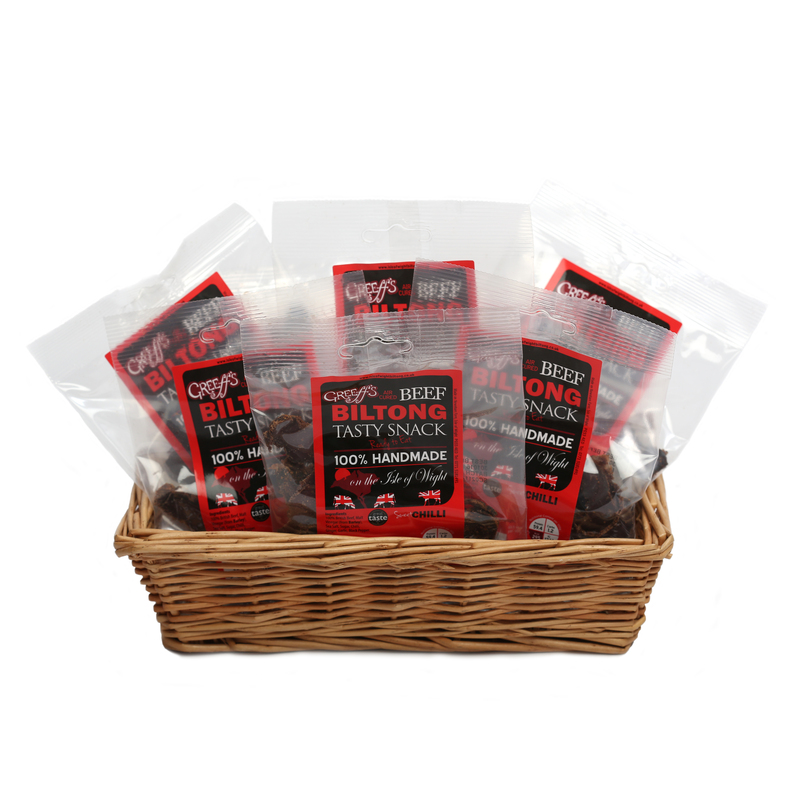 This product is dispatched by Isle of Wight Biltong. This item has a shipping weight of between 300g and 300g depending on the options selected.